Now that the Nokia Lumia 1020 is official, many of you are probably wondering when exactly consumers would be able to buy one of these. Well, the wait won't be long, as long as you live in the US. Nokia just announced that the Lumia 1020 will be available exclusively via AT&T before this month is out. The pre-order floodgates will open next week - on July 16, to be more specific, with a projected launch date for the device set for July 26. Price-wise, buying a Nokia Lumia 1020 will cost you. The smartphone will carry a $299.99 on-contract price tag. Details as to when the Nokia Lumia 1020 will be available in other parts of the world are scarce at this time. What we only know is that the handset should launch across Europe and China in Q3 of 2013. Telefonica is among the carriers interested in offering the device, expected to bring the device to not only European market, but to Latin America as well. 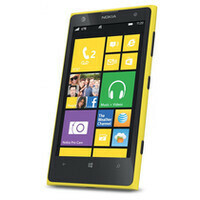 The Nokia Lumia 1020 will be available in 3 colors - black, white, and yellow. Anyone thinking of getting one? Ouch I'll pass for that price tag. "...the wait won't be long, as long as you live in the US" ...and want to settle for AT&T. The only problem with your statement is that I'm willing to pay $300 for a Note 3 today. It's worth it. The Note 2 was clearly a better phone than the $200 S3. I have no regrets for paying that price on launch day. Talk about shooting themselves in the foot, $299 pay-in??? Even here in South Africa that's RIDICULOUS! And on top of it all carrier exclusivity. It's just so sad that if you are not Apple or Samsung you are either forced to carrier exclusivity OR having to sell the phone unsubsidised in the US, atleast that's what it seems like. Or just buying it from a reputable retailer online, unlocked, and get a Straight Talk sim and pay $45 a month for unlimited everything and tell AT&T to shove their contract and inflated service plan up their asses. These carrier exclusives are dumb as hell. You can not convince me that att pays more to make it an exclusive then the company would make if it were widely available. I probably wouldn't buy this but dam the exclusive mess. So... There is hope for Latin America getting this phone in a timely fashion. I don´t want to wait until next year. I have two theories about the price (other than upmarketing and quality) Optimism: it's so high to leave room in the lineup for phones to go in-between, or it will drop in price as new GDR2/3 phones come available, and it is only bring built in limited qualities because of those future phones. By Black Friday we'll have a 1025 or something with 2014-ready specs (though not necessary, it would shut up the whiners who mistakenly think specs are everything) Pessimism:$299 is the new normal for top-end smartphones, that is, iphone's seventh iteration (not including the alleged cheap one) will also be $299, as will the Note3 (or even higher) or GS5. Scary, huh? Maybe that's why Samsung's stock actually took a beating?